Tablet rápido. Es el tablet más delgado y ligero de su clase y no tiene una manzana en la carcasa. Tampoco usa aluminio, sólo plástico. Un display de alta resolución, un veloz Snapdragon 801 y el familiar certificado IP completan el paquete. Nuestro análisis muestra por qué todo eso no basta para llevarse el primer puesto. Xperia Z2 Tablet Review. Una de las mejores tablets con Android del año. Una de las mejores tablets que he tenido la suerte de probar este año. Definitivamente recomendado si, este 2014, están buscando una tablet con Android. Nexus no es una opción porque la Nexus 10 ha quedado en el olvido por Google y la Nexus 7, con su débil procesador, sufre con algunas apps actuales. Sony, con su Snapdragon 801, resistencia al agua, delgadez y poco peso, convierte a su Z2 Tablet, en una de mis favoritas del año. El Sony Xperia Z2 Tablet no presenta grandes novedades respecto a su antecesor, sino que Sony ha tomado el camino de mejorar un producto que ya brillaba en muchos aspectos. Sony Xperia Z2 Tablet El diseño del Xperia Z Tablet ya era excelente, y ahora el Sony Xperia Z2 Tablet lo es todavía más gracias a que Sony ha conseguido hacerlo más ligero y menos grueso, manteniendo la protección frente a líquidos. Si Sony hubiera podido reducir el grosor del marco que rodea la pantalla, estaríamos ante un conjunto sublime. The Xperia Tablet Z4 is out now, but we aren't going to say no to Sony to review an older device. I've had this for a few months now and I would still recommend it, and have recommended it to quite a few friends, who were in the market for a new slate. The Xperia Z2 Tablet is one of the better tablets on the market, so if you're in the market for a new slate, Sony's lineup needs to be in your to-do list. Sony Xperia Z2 Tablet vs Sony Xperia Z4 Tablet comparison: What's the difference? Sony's year-old Xperia Z2 Tablet really impressed us when it launched, and still impresses us now. If you already own the Z2 Tablet and are thinking about upgrading, we'd recommend holding on to it – it remains a great tablet that can still compete with many of its rival high-end competitors. 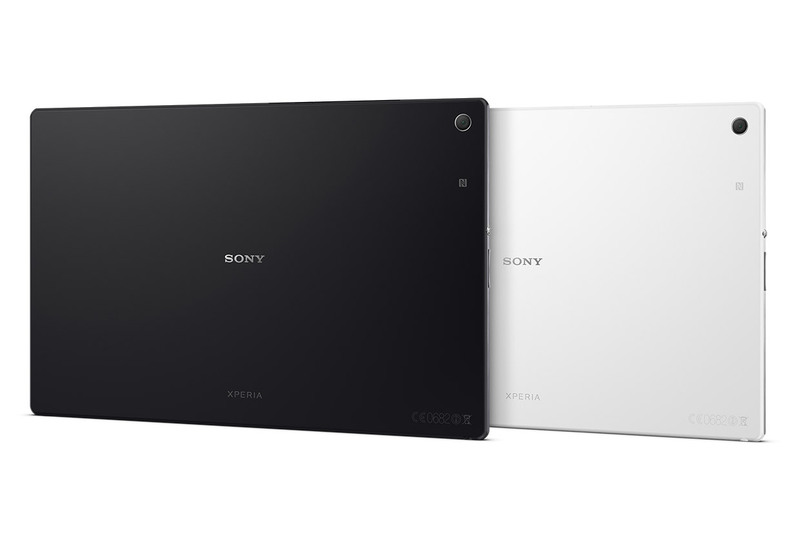 Das Sony Xperia Z2 Tablet vereint hervorragendes Design mit modernste Technik. Der dafür aufgerufene moderate Preis sichert dem Tablet den Preistipp. It’s also a great way to present your creative work, like digital drawings and photography, to clients. The X-Reality color enhancement makes them look sharper. It’s light enough for extended handheld usage, so, with a few apps that can mimic the painting process, you could use the device for outdoor sketching and drawing. (Beware of sun glare, however.) Because of the waterproof feature, you may choose to operate the Z2 Tablet by the pool or in the bathtub with little or no anxiety of water damage. iPad Air vs Sony Xperia Z2 Tablet comparison review: which 10in tablet is best? The Xperia Z2 Tablet is definitely a solid rival that could cause some minor concern for Apple, so let's hope the company is innovating hard behind the scenes to launch something that enables us to write a comparison review in the future that can recommend the iPad without a shadow of a doubt, because right now, it's tricky to be completely convinced that Apple's ahead of the game. Compared to the original Z Tablet the Z2 is thinner, lighter and more powerful but the price has stayed the same. I’m not sure you can ask for more. A larger battery wouldn’t have gone amiss but would likely as not have had an impact on the size so I can understand why Sony forwent it. 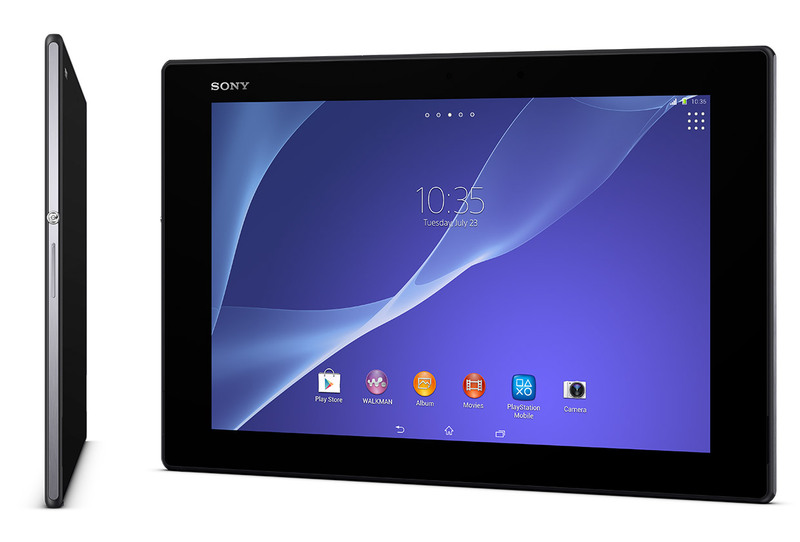 Is the Xperia Z2 tablet our fave ‘droid 10-incher here at El Reg? Yup. Sony has impressed us again with its latest take on the tablet, and has created what could be one of the best slates to guzzle down media on. Its waterproof skills are still a treat, and as it’s lighter than the iPad Air, you won’t even notice it in your bag - and that’s what you want from something to kick back with when you have some downtime, wherever you are. We just wish that Sony would ditch the 16:9 screen ratio, as aside from watching films on with, it doesn’t lend itself well to many standard tablet tasks, such as reading in bed. If you have last year’s model, you won’t be missing much, but for anyone else thinking of grabbing an iPad rival, starting at £399, it’s still well worth considering. The only aspect of the Z2 Tablet’s hardware that’s subpar is the camera, which may be a Sony Exmor RS sensor, but generally produces poor results. Luckily the camera on a tablet isn’t that important, so it’s unlikely it’ll affect anyone’s purchasing decision. But the good hardware of the Xperia Z2 Tablet is let down by poor software. Android on a 10-inch tablet just isn’t all that special, lacking when it comes to both applications and features, where iOS and Windows 8.1 succeed respectively. There’s nothing that’s especially terrible about tablet Android, but it’s still behind its competitors and there has been little improvement since the last time I used it. The Z2 has a few issues. The port covers are more fragile than on the Xperia Z2 smartphone, and friends at sister website Know Your Mobile managed to snap theirs off. The screen works fine most of the time, but seemed to have trouble picking up touches to the navigation keys occasionally. The 8-megapixel rear camera is also disappointing. The Xperia Z2 Tablet is elegant looking and offers great performance. Coupled with this is its waterproof slimline design and low weight, which makes it an ideal choice for business travellers wanting an Android device. Like the first Tablet Z, the Sony Xperia Z2 Tablet is a tremendously attractive and thoughtfully designed tablet, but this time battery life and the screen are much better. It can’t match the iPad Air for all-round performance and its superior selection of apps, but its lower price helps it nudge ahead of the Samsung Galaxy Note 10.1 2014 Edition in the battle for best full-sized Android tablet. 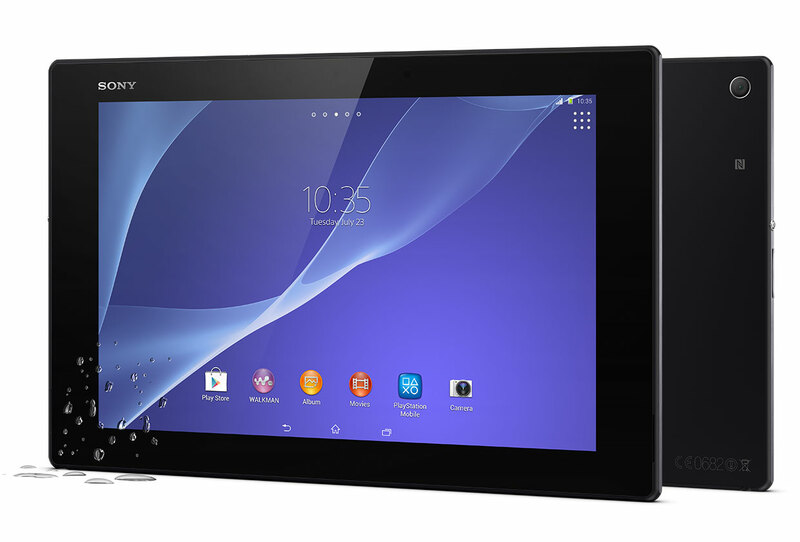 The second generation of Sony's 10-inch Xperia tablet is still one of the best high-end devices with the Android OS. It is mostly impressive when it comes to its excellent design, very pleasant dimensions, and waterproof casing, as well as its brilliant performance. Many will like that it comes with an almost pure version of Google's operating system, without pumped-up software modifications. Ultimately it is a matter of personal preference. Both these tablets stand head and shoulders above the rest of the 10in tablet world. They are thin and light, well made, designed and built. They offer great displays and excellent performance, decent cameras and so on. and they are priced the same. The main difference is that the iPad Air runs iOS7 and the Xperia Z2 Tablet runs Google's Android OS. Both have their supporters - which one are you? The Xperia Z2 Tablet has all the right numbers - 1920, 801, 6000. That would be enough if it wasn’t for the fact that tablets win big on criteria you can’t put a number on - how they fit into your life, what they allow you to do that your phone’s simply too small for. Sony’s still got some way to go in packaging up its screen, performance and software expertise into more than a collection of brilliant components - a tablet with a real edge over its rivals. As it is the Z2 Tablet is a great movie machine, but a tablet costing this much needs to do more, and it’s out-worked and out-played by iPads, Samsungs and Transformers. I haven’t been this impressed with a 10-inch Android tablet since the Samsung-manufactured Nexus 10. If I were considering a larger-sized tablet, I’d look Sony’s way. The Xperia Z2 Tablet is water-resistant, thin, and, because of its light build, easy to utilize on the train ride to work to get some work done. Its only major setback is that it starts at $500, so you’ll really have to consider if what it offers is worth the cash you’d have to fork over. As users of Apple products including Macs and iPhones, the iPad Air is the natural and more fitting choice for us. We'd choose the iPad Air not only due to its stunning design and easy to use software, but also because it ties in well with the our Apple ecosystem including iCloud, our purchased apps and our AirPlay compatible speakers. The Xperia Z2 Tablet is definitely a solid rival that could cause some minor concern for Apple, so let's hope the company is innovating hard behind the scenes to launch something that enables us to write a comparison review in the future that can recommend the iPad without a shadow of a doubt, because right now, it's tricky to be completely convinced that Apple's ahead of the game. If I am right that would in turn be bad news for this device: the Sony Xperia Z2 Tablet. That's because this superbly thin-and-light Android tablet is at the same premium pricepoint as is the iPad Air. And, unusually, it offers a broadly similar premium experience. In some ways it is better. The Sony Xperia Z2 Tablet is even slimmer and lighter, while it retains the original's distinctive looks and adds an eye-scorching Live Colour display. Meanwhile an improved processor and more RAM ensure that the tablet is right near the top of the performance tree. However, with the iPad Air and a whole range of improved Samsung tablets arriving in the interim, the Sony Xperia Z2 Tablet simply doesn't impress as much as its predecessor did - but that's not to say it isn't one of, if not the, best Android tablet on the market right now if you're a fan of specs and design married together in an interesting and unique way. When people trot out the tired "evolution, not revolution" cliché, it's usually to cast evolution in a pejorative light. I don't think that's fair. There's plenty of value and enjoyment to be had in the continuous refinement of a formula, especially when it one day results in a new iteration that works far better than the original could've. The Sony Xperia Z2 Tablet is a great piece of hardware. The wonderfully light and thin chassis makes this tablet a pleasure to hold, and its rich, vivid screen is fantastic for watching that latest episode of "Game of Thrones." The fact that it's water-resistant means you can catch up on the Starks while taking a bath, too. The Sony Xperia Z2 Tablet is surely among the fastest, most impressively designed Android tablets around, but it's somewhat unimaginative and lacks a distinctive feature to justify its $500 price tag. The display is good, but not spectacular; performance is good, but not industry-leading; the design is remarkably thin and attractive, but feels delicate. The Samsung Galaxy Note 10.1 debuted at $549.99, but can be had for the same $500 price these days. It's got a sharper display, longer battery life, and built-in stylus support that is unrivaled in Android and iOS counterparts. The iPad Air, meanwhile, has a more durable design, sharper display, and better tablet-optimized app selection for the same price as the Z2 Tablet. Sony's latest play for the hearts and minds of tablet users is a good one, and might win folks over with its design, but it fails to distinguish itself in any other meaningful way. The Xperia Z2 is a great looking and well built Android tablet. It is staggeringly thin and light for a 10in device, has a great screen, expandable storage and good performance. We like the OS and the camera. Indeed, our only issues with the Xperia Z2 Tablet is occasionally laggy web browsing, and the fact that the screen is poor under natural light. But priced in line with the iPad Air this is right at the top of the shop. The Z2 Tablet may not be hugely different from its predecessor, but it's an improvement in all the ways that really count. It's slimmer, lighter and faster with an absolutely beautiful screen, and even has impressive battery life, lasting 15 hours in our video playback test. It's the best Android tablet by far, and there's little to choose between this and the iPad in terms of speed, ease of use and screen quality. If you want a 10in Android tablet, buy this one. The Z2 tablet is a marked improvement over the original, it's powerful, light and inexplicably thin. Where it falters is in the design, not in terms of how it looks but more in how functional it is. The Z2 tablet might just be too wide for some - the bezels on the side are considerable but it 's certainly not a deal breaker. If you're looking for a large-tablet and want to keep Google as your main port of call then the Z2 should be at the top of your list. Sony’s still got some way to go in packaging up its screen, performance and software expertise into more than a collection of brilliant components - a tablet with a real edge over its rivals. As it is the Z2 Tablet is a great movie machine, but a tablet costing this much needs to do more, and it’s out-worked and out-played by iPads, Samsungs and Transformers. Having said all that, the single-minded approach to media consumption will appeal to many, as will the all-day battery life and waterproof construction, and there’s absolutely nothing wrong with that. Predominately black in colour apart from the silver Sony logo on the front and the Xperia name on the rear, the Xperia Tablet Z has dimensions of 266 x 172 x 6.9mm (W x H x D) with a weight of 465. Joining the like of Apple and Samsung in offering users both smartphone handsets and tablets, Sony latest release in the latter category is the Xperia Tablet Z. This is a 10-inch tablet running the Android operating system. 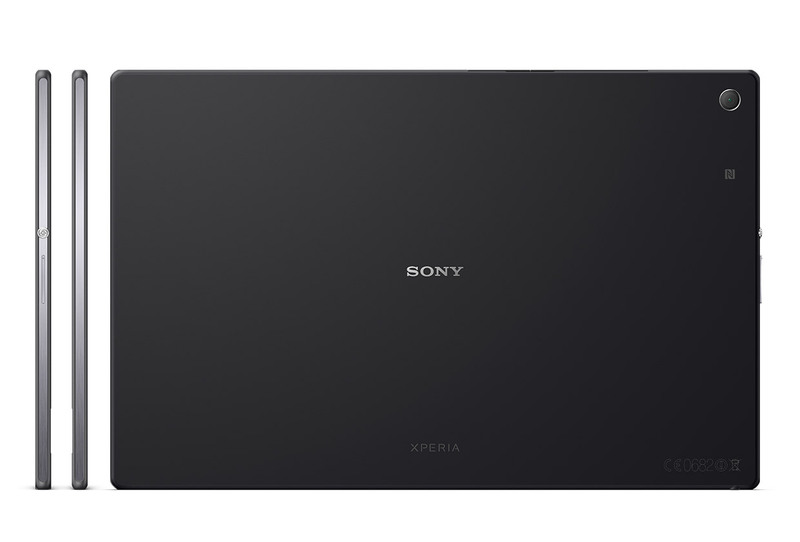 Priced at AED 2499, the Xperia Z2 Tablet is one of the finest tablet’s that I’ve come across. It’s the only tablet at it’s size that makes the iPad Air look thick and heavy. Simply put, Sony has done a superb job with the construction quality of the Xperia Z2 tablet. They have also made sure to equip it with a beautiful screen and all the latest specs currently available such as the quad-core Snapdragon 801 processor with the Adreno 330 GPU and 3GB of RAM. 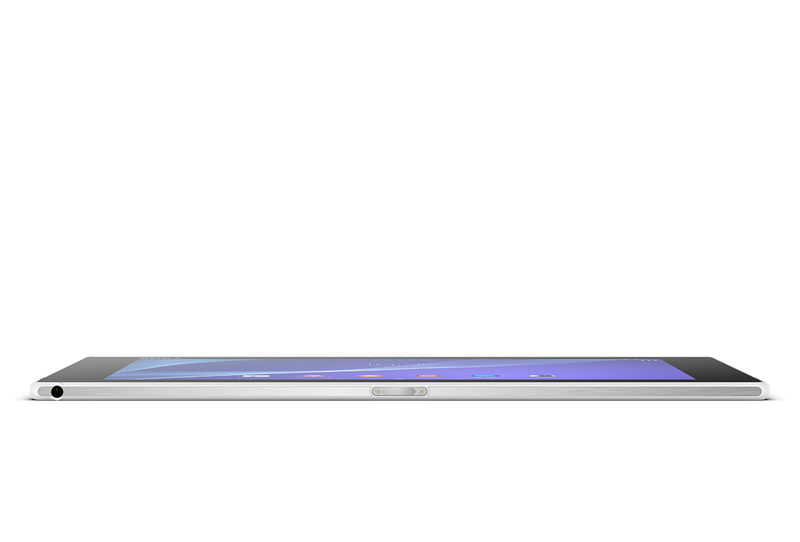 The Sony Xperia Z2 Tablet doesn't offer anything particularly new or exciting beyond being terrifyingly thin and light. However, solid specs, a decent screen and the added flexibility of the dock port and memory card slot make it worth a close look if the idea of a larger Android tablet appeals. As users of Apple products including Macs and iPhones, the iPad Air is the natural and more fitting choice for us. We'd choose the iPad Air not only due to its stunning design and easy to use software, but also because it ties in well with the our Apple ecosystem including iCloud, our purchased apps and our AirPlay compatible speakers. On paper, the Sony Xperia Z2 Tablet beats its rivals across most of our categories, but that battery life is a niggling concern; will it be enough to make best use of its features? For the time being, Apple's iPad Air is still comfortably ensconced in the top spot on our Top 10 Tablets list. But we foresee the latest Sony tablet giving it a run for its money. Check back for our full review of the Xperia Z2, and our updated showdown. 0.425 kg: Esto es bastante pesado para un smartphone. Normalmente los tablets pequeños pesan así. 86.36%: Esta es una buena evaluación arriba del promedio. Sin embrago, no se olvide que 10-15% de todos los modelos de portátiles obtienen una mejor evaluación.